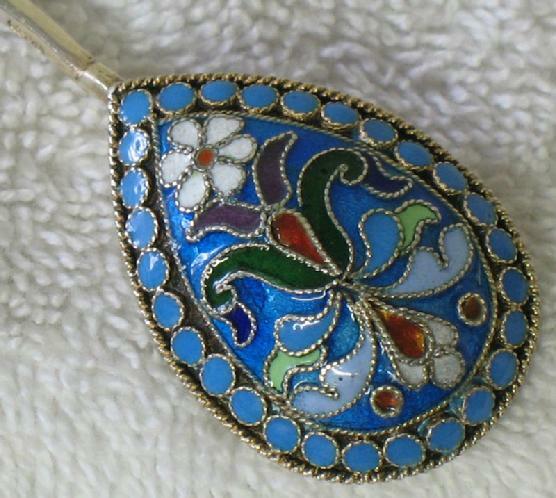 One sterling silver demitasse spoon with enamel detailing on the back of the bowl as well as on the handle. 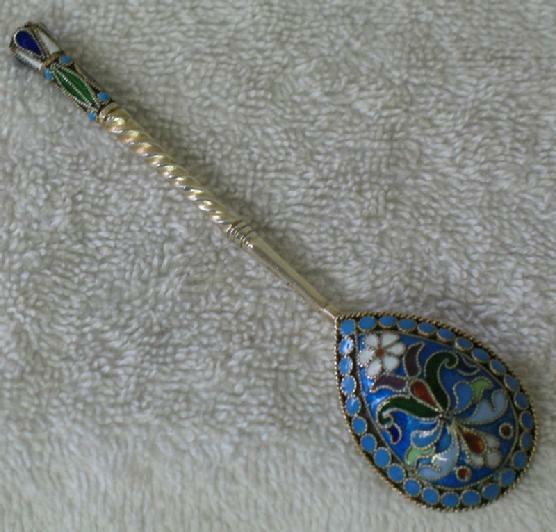 This beautiful spoon has vividly bright enamel (shades of blues, greens, pink, purple, white and orange) over gilded silver with beaded/rope accents on the bowl and a three dimensional twisted handle. 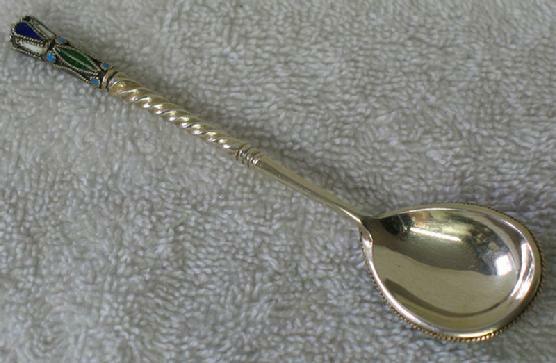 The spoon measures just over 4” long, and is in excellent estate condition. 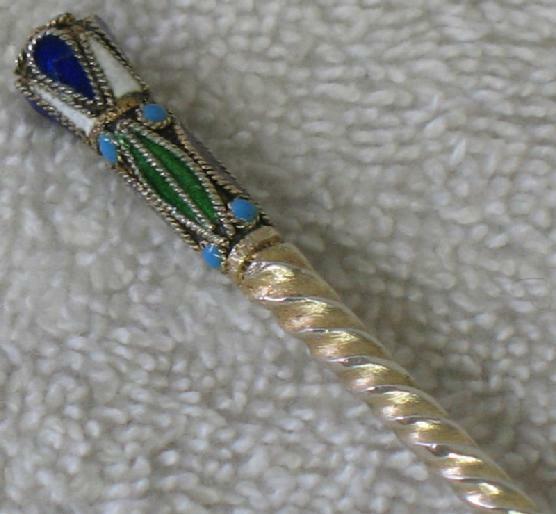 There is minor damage to the enamel on the handle as shown in photos. 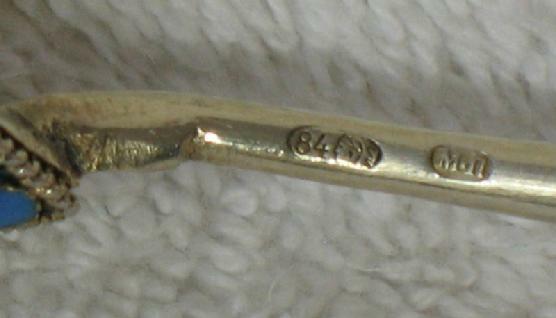 This spoon is hallmarked “84/head” as well as “M.P” (raised pellet), mark of Mikhail Perchin-Faberge Silversmith, as shown in Alexander von Solodkoff’s Russian Gold and Silverwork, 17th-19th Century, cataloged as mark number 146). cigarette cases, writing sets, bibelots of all kinds for the table. 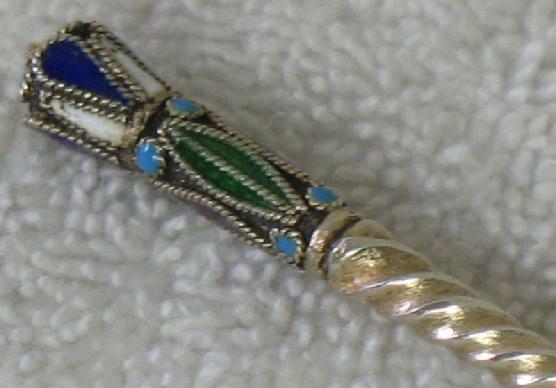 who delighted in seeing, handling, and enjoying. 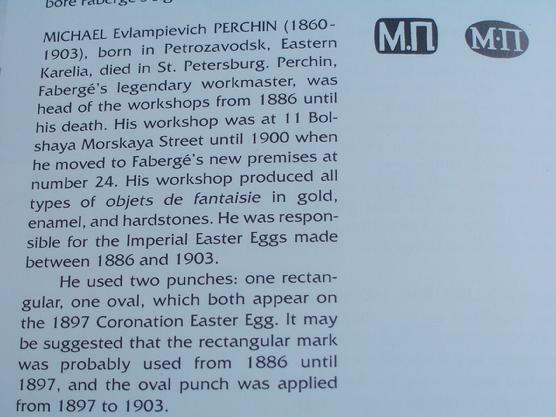 Perchin's mark in cyrillic is "M.P."